Are you getting the most out of your pre-shift meetings? An effective pre-shift meeting has the power to make a shift run smoothly, increase your sales, and empower your staff to excel. These tips will help transform your meetings from a dreaded requirement to an engaging and useful discussion between you and your staff. And all you need is 5 minutes! 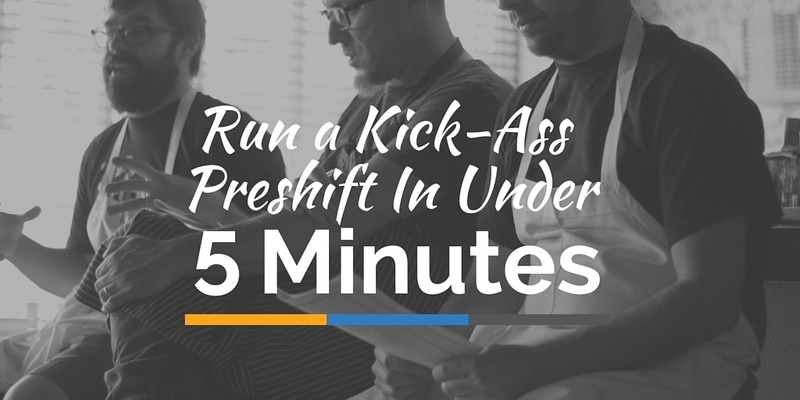 Showing up to the pre-shift unprepared gives the impression that you don’t care about your staff’s time and that they shouldn’t take the meeting seriously. Your staff don’t want to sit and wait as you run to the back to ask the chef about specials or 86'd items. Before every pre-shift meeting, prepare a short list of points that you’re going to talk about during the meeting. Be sure to find out specials and 86'd items before the meetings starts, review numbers and service standards from the night before, and set a goal for the night that you can share with your staff. Coming prepared with a plan will help the meeting run more efficiently and will encourage staff to be engaged and serious, instead of losing focus or ignoring your information. Try to hold the pre-shift meeting in a similar place every day that is quiet and free from distractions. While it’s often hard to find a meeting place that’s always distraction-free, especially during a shift changeover, there are generally some reliable options. Consider holding your pre-shift in a private party room, or pay attention to what areas of the restaurant are generally empty at meeting time and hold your meeting there. If the location does need to change, be sure to inform your staff as soon as possible. That’s right we said under 5 minutes. As much as you would like to hold court for an hour, reviewing all the details from last night’s shift and showering your staff with tips and tricks for serving success, attention spans are short. Get to the point and get on with the shift! Researchers have found that listening is almost as mentally draining as thinking hard about something. Longer meetings means more information, and the amount of information that your staff will remember decreases as the minutes tick by. When conducting the meeting, remember to KISS (Keep It Short and Simple). Your staff don’t work at your restaurant for a long daily lecture about the fine art of serving. Keep the meetings focused on the most important points, and be sure to finish up before you start reminding your staff of their monotonous high school math teachers. Every business has salespeople. At a restaurant they're the Front-Of-House team. 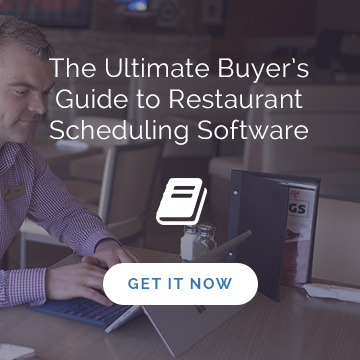 During the meeting, you should provide your staff with the tools to be effective salespeople of your restaurant’s cuisine. Coordinate with your chefs before the meeting, and have them prepare sample dishes of specials and new menu items. This gives your staff the opportunity to see the plating, taste the dish, and ask any questions about spices, ingredients, and sides before the shift. While it takes more effort to provide the samples to the staff, it will pay off in the middle of a rush when your staff won’t have to ask if the chicken special is served with a rosemary or chipotle sauce. According to the Harvard Business Review, coming to a meeting with no focused agenda is one of the most common meeting mistakes. Don’t show up for pre-shift with a laundry list of things that went wrong during the last shift. Instead, before the meeting, think of the problems you saw last night, and choose one important issue to address. By focusing on one issue, you will be able to tackle the problem in-depth, offer advice, and spark a discussion among your staff about how to manage the problem in the upcoming shift. Providing your staff with the tools to effectively solve an issue is significantly more powerful than reciting a list of problems and providing one or two hints on how to avoid them. Moreover, by only selecting one issue to focus on, you’ll ensure that the meeting stays effective, simple, and short. Ending a meeting with “Any questions?” will likely ensure that your staff don’t ask a single one. No matter how short you keep your meeting, your staff will still be antsy to get back to work by the end. Most staff don’t want to risk the glares and sighs from their coworkers by asking a question that extends the meeting. However, a better question will ensure a response and spark a good conversation among staff. Instead of an open-ended question, try asking a directed question that ties in with the goals discussed during the meeting. For example, if you want to sell more appetizers tonight, ask: “How can we reach our goal of selling x amount of appetizers tonight?” Staff will know that you expect a response, and will be able to immediately apply the advice you gave during the meeting to answer the question. A directed question provides staff the opportunity to show you that they were paying attention during the meeting, and gives you one more chance to clarify and advise before the shift begins. While working in a restaurant can be fun and rewarding, it can also be a tough and thankless job. No matter how thick-skinned your staff may seem, dealing with challenging customers can wear them down. This compliment not only highlights Sarah’s success, but also provides a learning experience for the rest of the staff that they could use during their shift. Several surveys have found that recognition and gratitude are some of the strongest factors in motivating employees and reducing turnover. Making a habit of sincerely praising your employees during each pre-shift will inspire your employees to do their best work every shift. Pre-shift meetings don’t have to be a burden on your already busy day. Instead, they can provide a solid foundation for a great shift and allow your staff to shine. 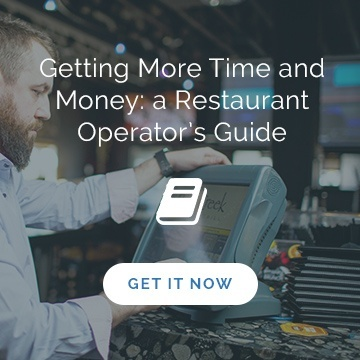 Follow these tips to streamline your pre-shift, make it more effective, and keep your staff engaged and happy.